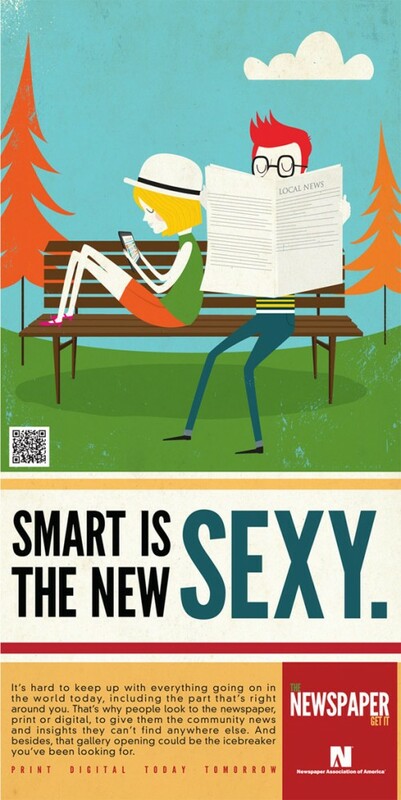 I ran across this rather interesting advertising campaign from the Newspaper Association of America courtesy of Thomas Baekdal that seems to be insinuating that the really smart people out there are newspaper readers while the rest of us are losers stuck on things like Twitter or Facebook. 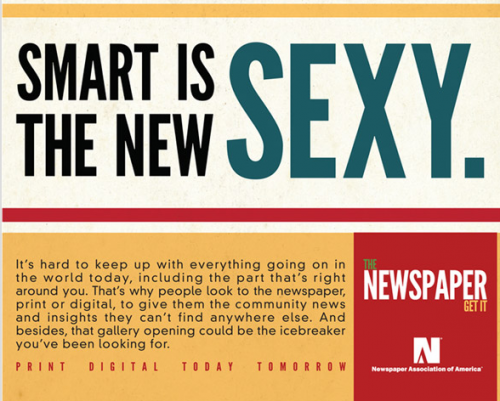 The retro looking ads are actually really nice but the impression that they are trying to put forward that newspapers are the only real way to keep connected with what is going on is mind blowing. As you can see from the ad copy in the image above, which is just part of one of the ad images below, they are really stressing the fact that when comes to knowing what is going on you can only trust the newspapers to bring you the real facts. It’s hard to keep up with everything going on in the world today, including the part that’s right around you. That’s why people lock to the newspaper, print or digital, to give them the community news and insights they can’t find anywhere else. What? Hard? Have they tried this thing called Facebook, Twitter or Google+. Have they seen Tumblr or Pinterest? 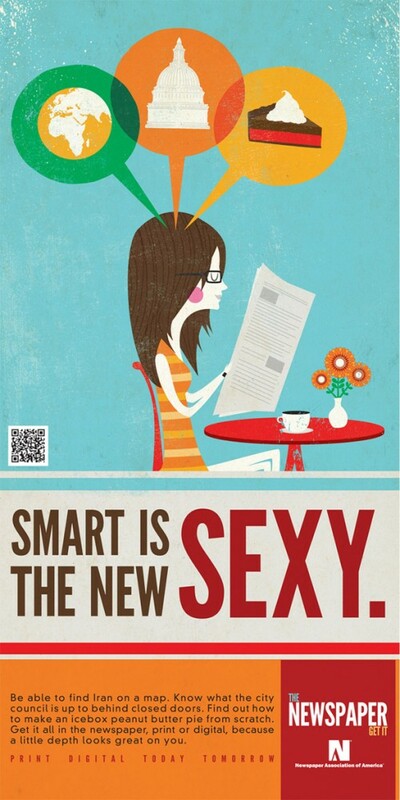 It is mind-boggling easy to keep up with everything in today socially connected world. And newspapers are only covering a tiny fraction of it. Can you find amazing recipes to gluten free food in the New York Times? No, but you can find it on Pinterest. It is advertising like this that proves that the news business is so locked into a past way of doing business that they can see that it is literally changing faster than their reporters can write about it. Here’s three of the different ads being run, have a good chuckle while reading the ad copy in them.